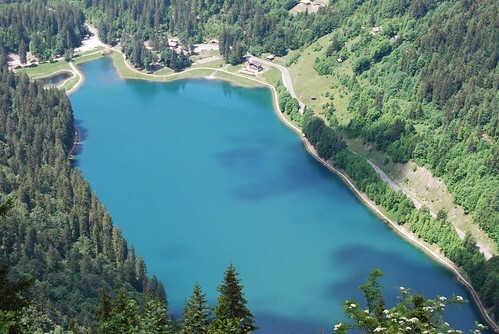 Lac de Montriond and the area around it is one of the reasons we decided on Morzine as the home for Mountain Spaces. It looks amazing throught the whole year. We didn’t have the chance to snow shoe to the Belvedere in the winter so one sunny day we thought we’d make the most of the weather and head up for a birds eye view. 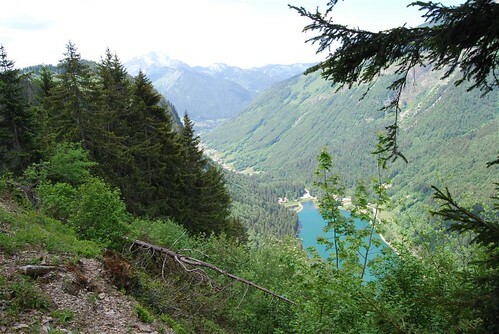 We followed a route from the Cascade (waterfall) at Ardent that ran via a steep climb and a bit of scrambling up the left hand side of the cliff that overlooks the Lac. 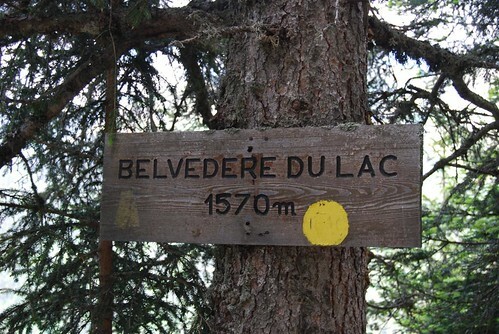 Once you reach the top of the gully it’s another hours walk/climb to the actual view point. The weather managed to hold on for us so we got an amazing view from the top. The camera’s almost done justice to the colour of the Lac but not the millions of points of sunlight that were reflecting off of it. We took a different route down, partly via the road that is the piste from the top of the Prolay lift down into the village of the goats at La Linderet. = overall a really good walk with a bit of scrambling on the way up, makes for a good day out if you stop in the village for lunch on the way down.